In January, we @Mind The Bridge Foundation (MTB) received a mandate from the European Commission to lead the Startup Europe Partnership (SEP), a pan-European initiative to help the best startups transform into scaleups able to break the early-stage barriers to growth and development. Since then, our focus has been on matching large established companies with appropriate scaleups. The other day I had a conversation with my friend and colleague Alberto Onetti about an article he published about scaleups and the methodologies we are exploring at MTB in relation to SEP. Alberto explained the evolution of startups into a category of businesses that face the unique challenge of growth – scaleups. Following this discussion, I looked up “scaleups” for the purpose of further defining the concept and their dynamics. Appropriately, Dartmouth describes scaling-up as the process of a company growing quickly while maintaining operational and financial controls in place. This clarified a thought I had – in hindsight, a rather simple thought. 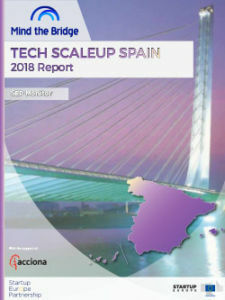 That for our activities with SEP, as we begin with categorizing and filtering scaleups by the amount of investment raised, it is inevitable that we will have to dive deeper into other metrics in order to find the right filters for what qualifies as good scaleups – or even simpler, what qualifies as a scaleup in the first place. We have seen startups raise enormous seed investment while still in the “search phase” – still startups – especially in today’s environment where, in Silicon Valley, valuations are at a notable high. Our MTB Startup School activities around the world have also exposed us to the truth that in developing entrepreneurial ecosystems, there’s a lower threshold for raising investment. Then there’s the dynamics of traction – some scaleups don’t have revenue because that’s not their focus (a lá social networks); rather their focus is number of users/engagement/etc. Yet for others, especially B2B, it’s more about their revenue model and how much they are pulling consistently. There have also been interesting spinoffs from established companies, a significant number of which have proceeded to become successful ventures. Why are scaleups metrics important? For lack of a better word, we’ll use “critical mass” to refer to both the growth effect within a network, and for B2B companies who have validated their business model by a “solid” number of consistently paying repeat customers. The understanding then is that there are multiple types of “critical mass” for different types of business. As we proceed with our activities, we realize that the appropriate scaleup metrics will define how far ahead (or behind) a particular scaleup is to reaching its critical mass, relative to the investment put in to date, accounting for any revenues, and time the business has been in existence. Other factors such as the key employees (skill set) in place required to scale particular types of scaleups are considered as well. In the spirit of openness and sharing, within the accelerated scaleups methodologies we are testing at SEP, we began with several practical filters within our pipeline. Startup: ‹$0.5M/1M funding raised in the last three-year period or bootstrapped companies with revenue in this range. Scaleup: $0.5M/1M – $100M funding raised in the last three-year period or bootstrapped companies with revenue in this range. Scaler: >$100M funding raised in the last three-year period or bootstrapped companies with revenue in this range. Metrics in the scaleups movement will then require analytics that eventually mathematically help normalize this process and standardize some reference points, just like startup investment has become normalized over time—think Seed, Series-A, Series-B, etc. The accelerated scaleups methodologies we are testing include weighting various factors we consider important. The chart below gives a preliminary example, breaking down variables we are testing for different types of scaleups (types can further be broken down by industry/field). These factors would be weighted and analyzed for a given time period and broken down to monthly, quarterly, and yearly numbers. The algorithms we are testing should return a pretty simple measure: Is the company’s growth accelerating enough to be considered a scaleup? Has the startup reached its critical mass and turned into a scaleup? As more players join the scaleups movement with individual metrics, we will learn from each other as to what metrics work and which ones don’t, while retaining individual best practices – much like is seen in investment practices across the spectrum.